But surgery and successful childbirth soon were followed by a return to the roads, and on Sunday the Eagle Lake native capped off that comeback by qualifying for the 2020 U.S. Olympic women’s marathon trials. Mulcahy, 33, earned a berth in the Trials, to be held in Atlanta on Feb. 29, 2020, by achieving the Olympic “B” standard of 2 hours, 45 minutes, with her time of 2:44:28 at the California International Marathon in Sacramento. “My whole goal had been the 2020 Olympic Trials,” said Mulcahy, who with her husband Jon, 4-year-old daughter Olivia and 20-month-old son Isaiah, moved back in August to the St. John Valley where she works as a math teacher at her alma mater, Fort Kent Community High School. Mulcahy ran with a fellow Aroostook County native, 38-year-old Tracy Guerrette of Saint Agatha, for the first half of the California race. Mulcahy reached the midpoint of the race in 1:19.56. Things got even worse at mile 23. She fell. “A bunch of people there were like, ‘Get up and go,’ so I got up and went,” said Mulcahy. “I was 2 1/2 miles away and I was still running at a 6:14 pace and I was right there, I knew I could do it because a 6:17 pace was going to get me in. 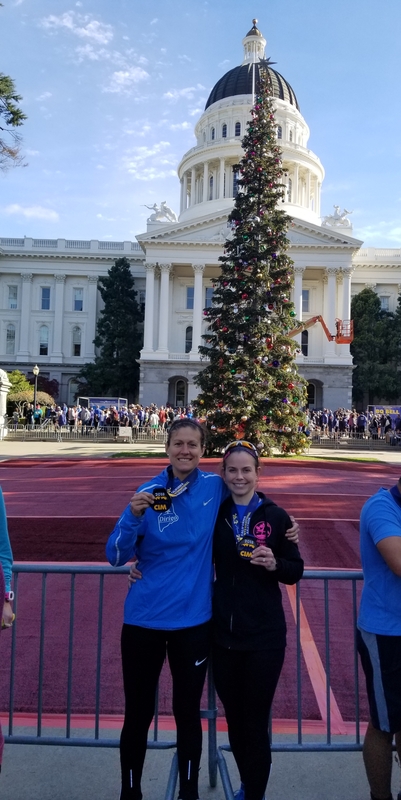 Mulcahy said she was aided by the quality of the field at the California International Marathon, which for the second straight year served as the USA Marathon Championship. Mulcahy began running competitively in 2009 while working as a teacher in Westbrook and soon established herself as one of the state’s top distance runners. She is a two-time Millinocket Marathon women’s champion and a four-time winner of the demanding Bay of Fundy International Marathon in Lubec. Her 2:49:53 clocking there in June was good for second place overall and her personal best for the 26.2-mile distance until Sunday’s effort. “When I ran Fundy this year (overall winner) Robert Ashby said to me, ‘You need to run a fast course,’” said Mulcahy. That course-record run at Fundy told Mulcahy that she was all the way back from the hip fracture just a year earlier that she believes ultimately stemmed from a stress fracture. Mulcahy, who was living with her family in Princeton at the time, began her comeback with a couple of local races, the Cobscook Bay 10K in Pembroke and the Suddy 5K in Eastport, before testing herself further in October 2017 at the MDI Half-Marathon. She finished in a personal-best time of 1:23:14 for the 13.1-mile distance. “I was like, ‘My God, I guess I can run again,’” she recalled. She followed that with a 2:56:05 clocking at Millinocket last December, which led her to seek out Rob Gomez, a running coach based in Portland. That collaboration led her to dropping her marathon best by six minutes at the 2018 Bay of Fundy race, and while a lower-leg injury curtailed her training in August, Mulcahy ran the MDI Marathon with Guerrette in mid-October. 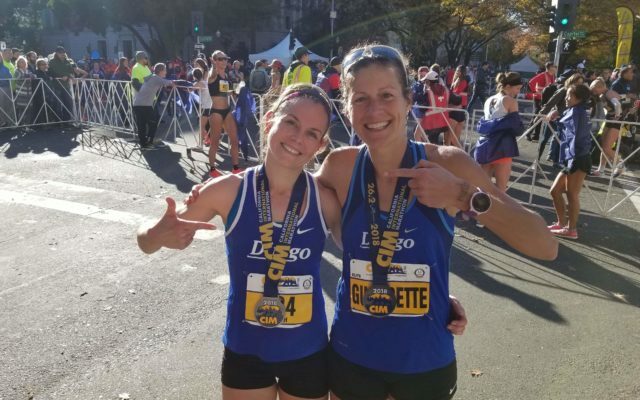 Mulcahy and Guerrette — who just missed qualifying for the Olympic Trials with her time of 2:45:48 at CIM — both plan to take some time off around the holidays before eventually gearing up for the Boston Marathon in April. But those plans come with an asterisk for Mulcahy, who may run this weekend at the fourth annual Millinocket Marathon, which was created in 2015 by distance runner and entrepreneur Gary Allen to support the Katahdin region as it recovers from the closing of local paper mills.